Speak to our friendly expert team now for free help and advice! 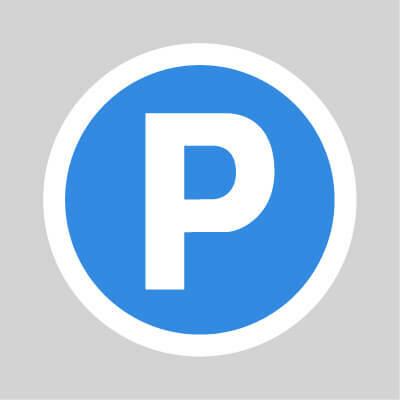 We offer advice on debts related to parking charges. Do you need help with parking ticket bailiffs? Previous clients have told us that Bailiff visits can be extremely stressful and upsetting for them. Often when they turn up at your property or place of work they will make it known they are Bailiffs or Enforcement Agents in full view of neighbours, clients or colleagues. This can be extremely embarrassing for the individual they are pursuing and their family. We have experience dealing with parking ticket bailiffs. You are not obliged to let anyone into your home so don't let them in. Read more..
You should not sign anything an enforcement agent or Bailiff puts in front of you. Read more..
No matter what threats a Bailiff makes, don’t open a door to them. Read more..
Should I let a Bailiff or Enforcement Agent into my home? If a Bailiff visits your home we always recommend that you don’t answer the door. Bailiffs and Enforcement Agents often give the impression that they have unlimited power and you must do what they instruct. This idea has been borne out of fear. Many people don’t realise they can’t force entry into your property. They can only ever enter if invited by you or use force under certain circumstances (which we can discuss). It is important to note that if you do let them in voluntarily they can make a list of your goods (known as a levy) to eventually sell in order to pay the arrears that you owe. If you are in any doubt or need further advice then we would be happy to hear from you. If a Bailiff or Enforcement Agent visits, what should I do? It's important to protect yourself, your family and your property. We always advise that you should never open the door to Bailiffs and Enforcement Agents. This removes any risk of them forcing their way past you and into your home. If you do need to speak with them, we recommend that you do so through a window, locked door or mobile phone. This may sound extreme, but protecting yourself is the priority. Knowing how to deal with Bailiffs and Enforcement Agents can be an advantage – but we would also recommend addressing the issues that lead to Bailiff action in the first instance. What if a Bailiff or Enforcement Agent comes into my home? Unfortunately, if you have voluntarily let a Bailiff or Enforcement Agent into your home they are allowed to force entry should they return. If you find yourself in this situation you need to act quickly. If you don’t want to give the Bailiff or Enforcement Agent this option, bear this in mind before answering the door to them. Even if you don’t let them in they can still remove goods from outside your property. Common items they seize are cars, motorbikes and scooters. We always recommend parking them in a looked garage on your property or alternatively away from your home. Only do this if it’s safe and secure to do so. When can Bailiffs or Enforcement Agents force entry? Many people are unaware that Bailiffs are not usually allowed to force entry into your home. The most common way in which Bailiffs gain entry to your property is by being voluntarily let-in by household tenants. This usually happens after threats are made about breaking down the door should they not be allowed in. If they manage to gain what is classed as ‘peaceful entry’ this then allows them to use force on their next visit – if required. The only other instance where they have permission to force entry is when the court has given them permission. Bailiffs and Enforcement Agents often claim they have this permission. In our experience they rarely have this. In order to deal with this situation effectively make sure you have had the appropriate Bailff advice. Get in touch if you need any help. westopbailiffs.co.uk is a Trading style of Marketing Shoots Ltd.